Life is funny ... For several months; we spent a lot of time searching for a sponsor, sending our presentation folder to different companies. We spend hours looking for the contacts of marketing services, sending hundreds of messages and expected responses that rarely come. And someday, we went to a VW show ... And we found the man so expected. Our biggest project of travel to France made possible by a meeting ... It should be writing. Joe Orriols is passionate about cars. 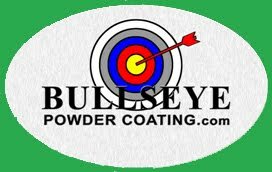 It is also the owner of Bullseye, a powder coating company. And when we said this: "I'm going to pay for gas to France," we could not believe. We could not believe. Were ours wheels and our bumper who opened Pandora's box. We began to say it would be good to paint the bottom of the bus, fix all points of oxidation and for that matter, why not paint it fully? It was a great moment. For three days we were all involved. Dalia, the wife of Joe, Joe himself, both of us, Richard ... Under the direction of David a genius of the restoration of old cars, we give a second life to our bus. David is great painting and did all the paint job in one night, from 6 pm to 8 am. It was an amazing night. DAVID, THANK YOU! We are doubly happy. We not only have a sponsor, we had new friends! Since two weeks ago we are living with Joe and her wife Dalia. Having a really good time. And for the first time since we decided to go to Brest. We can think without seeing clouds in the sky. The obstacles will be necessary but with the support of our first sponsor, the sky clears and appears as the dawn that followed the night of painting: bright, full of hope, like a dream. A wonderful feeling! I drove beside you this afternoon as you arrived in Tucson, and just before you drove past the Boneyard. 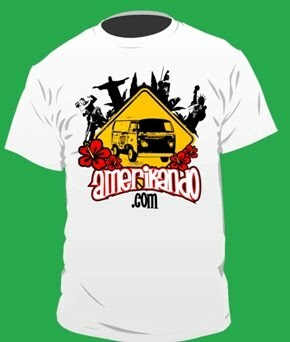 I took several pictures of your van then looked you up on the internet. Is there an address or link I can send some photos to? Drive safe and enjoy your trip. I am jealous! We're so sorry, we just saw your coment now!